Today we drove back to Milan to spend our last two nights before flying home. 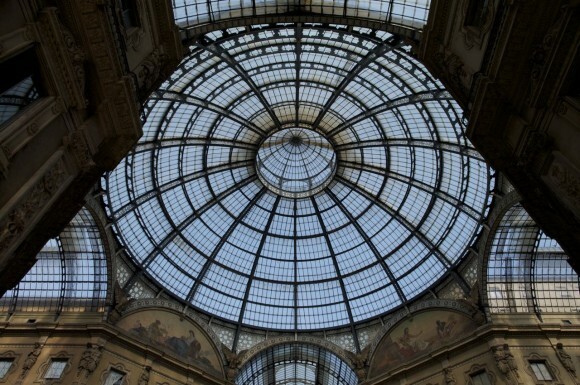 Since we really only had a day and a half we wanted to get an early start to get the most out of our half day in Milan. 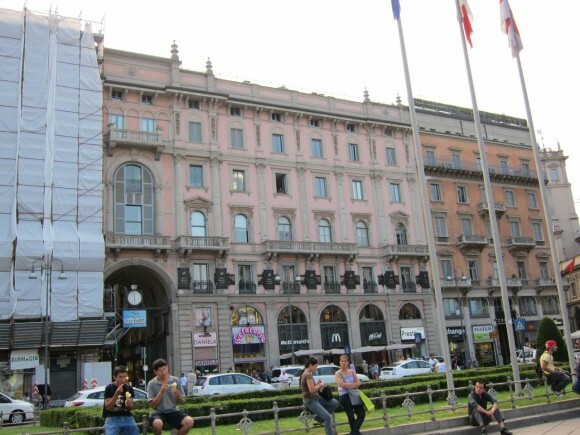 Now, when making all my hotel/apartment reservations I had a REALLY hard time finding a place in Milan. 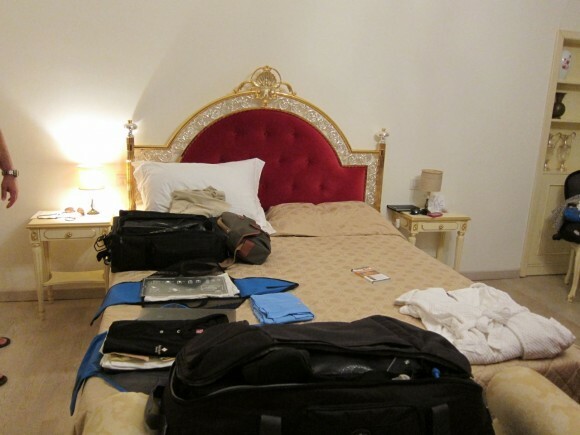 I was trying to keep rooms under a certain amount and it was becoming clear that this was not going to happen in Milan. 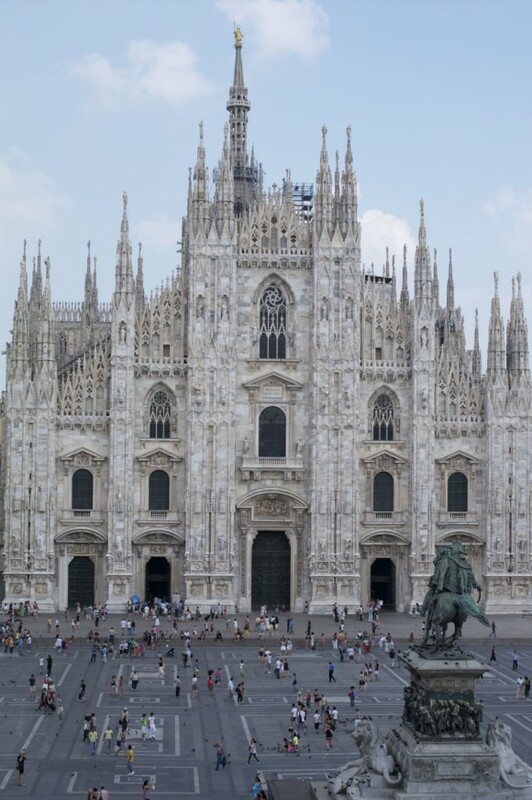 I almost gave up about spending the extra nights in Milan and thought we would just spend one night near MXP and fly home the next day – but we had done that on a previous trip and I really wanted to get a chance to see the Duomo, Last Supper and just explore Milan so I persevered. I finally found the Glamour Apartments website (http://www.glamour-apartments.com/). It is located on Trip Advisor under “Specialty Lodging” which is why I had not noticed it previously. 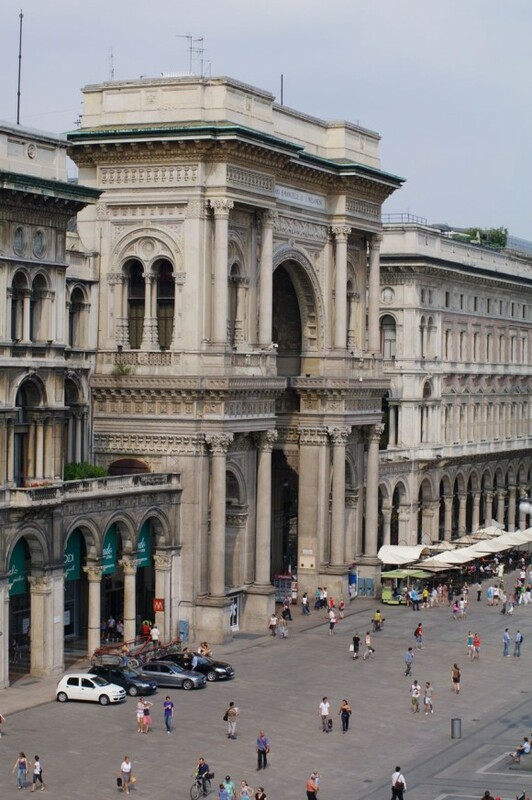 I kept thinking this place was going to be “too good to be true” and even warned the family as we entered Milan that this apartment looked fabulous on line – but could be too good to be true. Boy were we pleasantly surprised – this place WAS fabulous!! 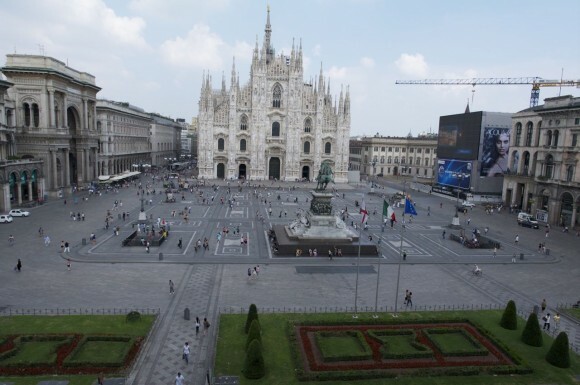 We arrived in Milan about noon. I had corresponded with Marco from Glamour Apartments via email earlier that morning and told him we would arrive about that time so there would be someone waiting for us. We actually found the apartment fairly easily (well thanks to TomTom our GPS) but this place is located right across from the Duomo so there did not appear to be any place to park. Stephen dropped me and Michael off and we walked upstairs to the apartment and were greeted by Marco’s assistant, an extremely nice man (cannot remember his name). He said if Stephen drove back here he could park on the pedestrian street right in front of the apartment while we unloaded the luggage. I called Stephen, they had already moved from the area but would make their way back – this turned out to be quite a challenge with the heavy traffic and so many one-way streets. About 20 minutes later they finally arrived back at the apartment with wild tales of being chased by police as they inadvertently drove on the piazza del duomo and then literally parked on the sidewalk when Stephen decided he just could not wait any longer to use the facilities and could not find parking near a café. Anyway our apartment was fantastic and we were already disappointed that we were only staying here for two nights. We stayed in the Open Space Apt. 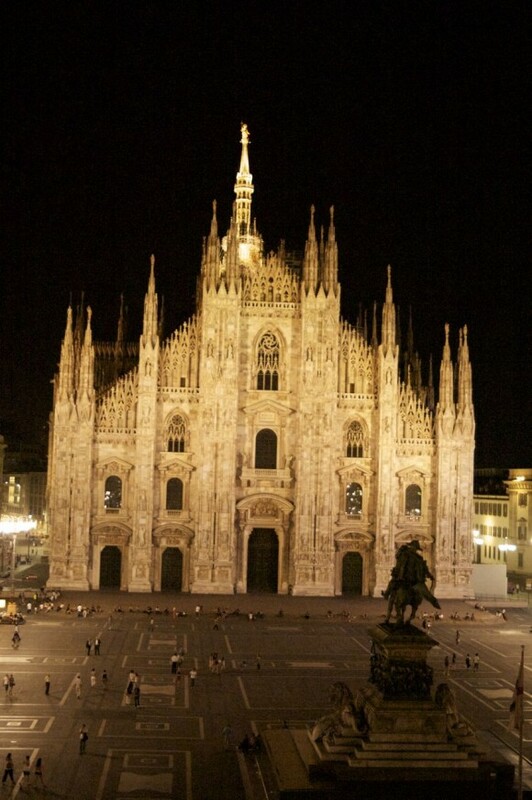 (http://www.glamour-apartments.com/duomo_openspace.htm). 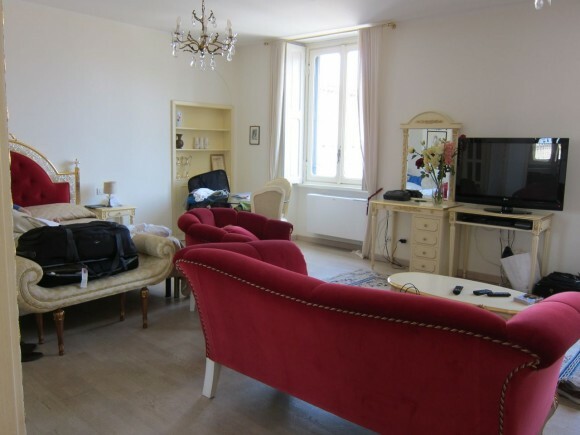 It is one VERY large room with large bed, couch, coffee table, dining table and kitchenette along one side of the room. Plenty of room for the two rollaway beds for the kids. 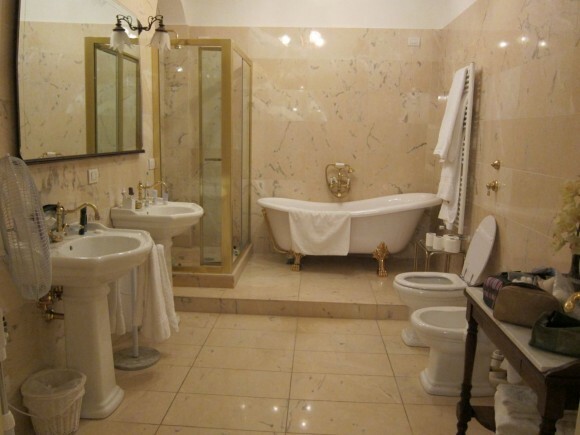 The bathroom was a beautiful marble bathroom with clawfoot tub, nice size shower and two pedestal sinks – much nicer than our master bath at home! A large, big screen TV which would have been nice to have when we were watching all the World Cup games, and it had THE most incredible view – literally you are right in front of the Duomo with absolutely no view obstruction – you look right down on the Piazza del Duomo and the Duomo itself, and just to the left is the Galleria Vittorio Emmanuele. Yes, all these pictures were taken from our window! This was an ideal location, especially for such a short visit. 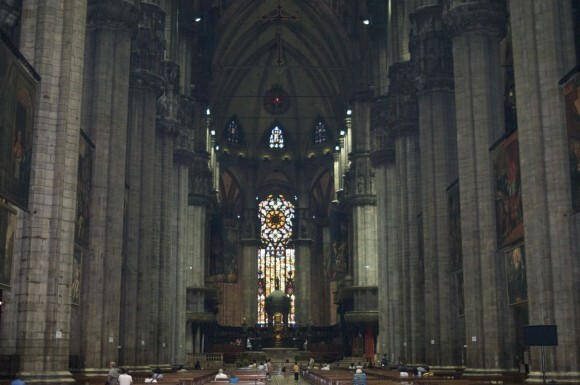 Also, right near the Duomo metro stop. The gentleman who led us into the apartment said he would drive with us to the rental car return since it was not far away, but hard to get to. This was extremely helpful, as it was hard to find and even harder to park there – so we really appreciated it!! 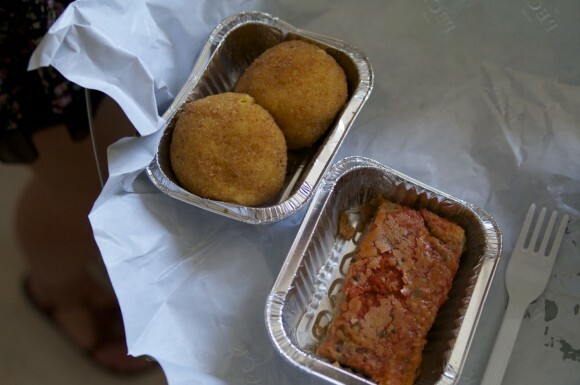 By this time we were pretty hungry so we headed to Peck (Via Spadari, 9) located just about 2 blocks from the apartment. This place is incredible. 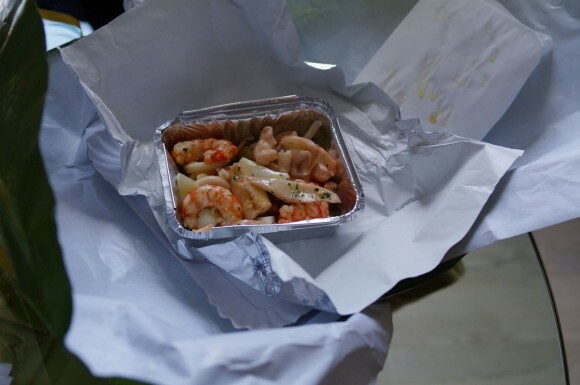 It has amazing gourmet foods (think Harrod’s food court) with an incredible selection. Many people have complained about the service there being rude, but by the time we got there it was about 2:30 so the place was fairly empty. We found the men behind the counter to be very helpful, although the system is a bit confusing. You order what you want at the various counters and they give you a ticket. You then bring all your tickets to the cashier and pay for them – next bring your paid receipts back to the counters to pick up your food. 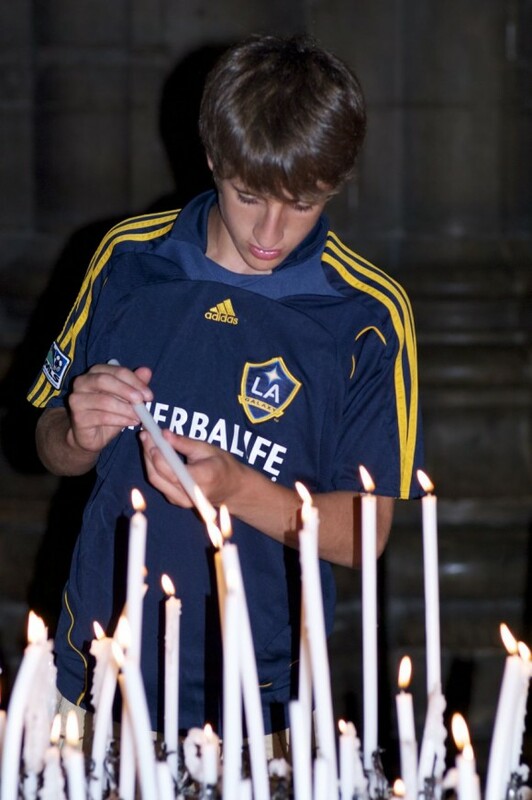 I could imagine this would be even more confusing and difficult if you were there when the place was really busy. The selection of foods just goes on and on. We ordered several different things and brought them back to the apartment to enjoy while looking at our fabulous view. After lunch kids and I were ready to hit the shopping streets of Milan – Stephen stayed back to rest. Many people sort of “poo-poo” Milan as being too industrial, etc. 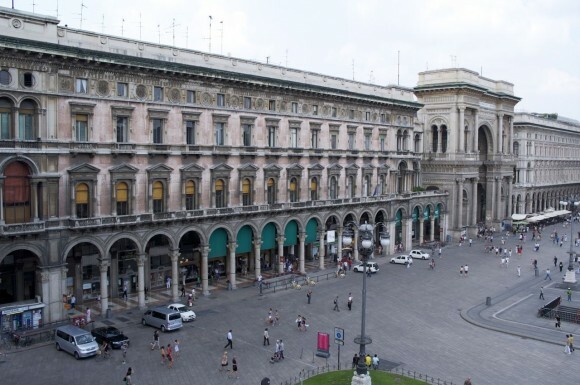 However, as long as you stay in the centro storico we found Milan a wonderful city and really glad we had decided to spend the two nights there and explore. For dinner we chose Papa Francesco (Via Marino, 7) because it got excellent reviews on Trip Advisor and it was very close to our aptartment. We thought the food was good – but not fabulous and while the service was very good, friendly and attentive I thought the son of the owner seemed a bit too concerned about me writing a good review on Trip Advisor as he wants to be #1 in Milan – personally do not think the food is good enough for that. 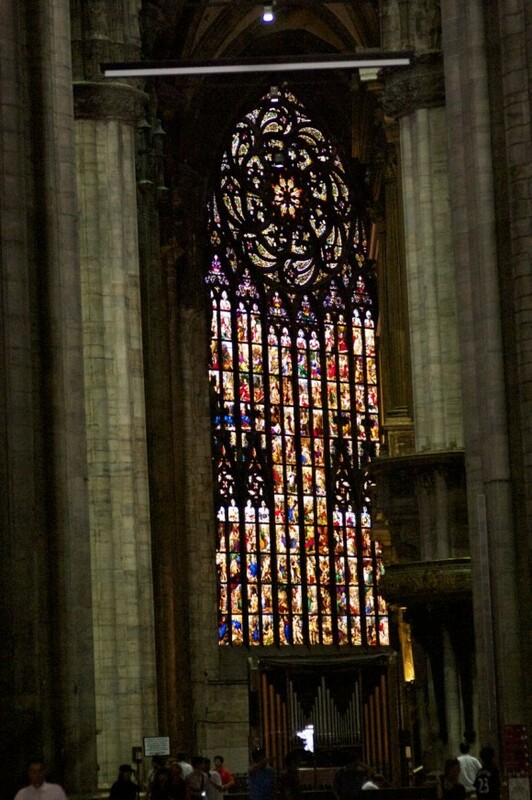 Today was mostly spent walking around shopping/window shopping and seeing the Last Supper and Duomo. 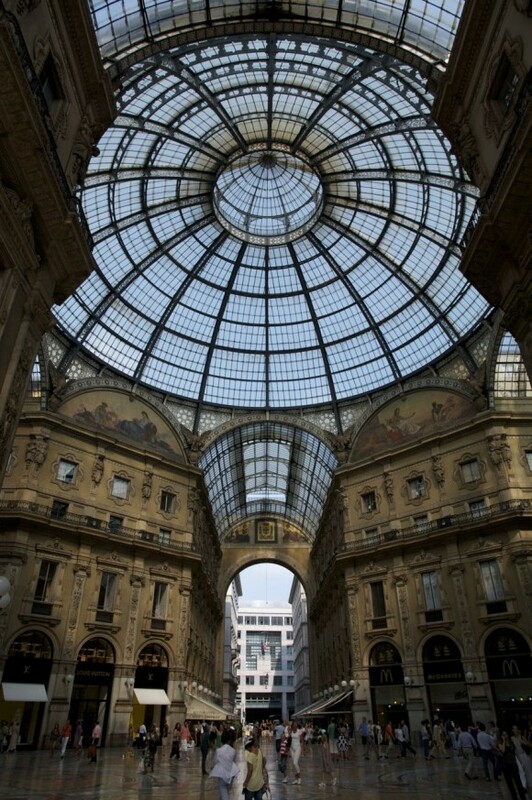 We started by walking through the Galleria Vittorio Emmanuelle. 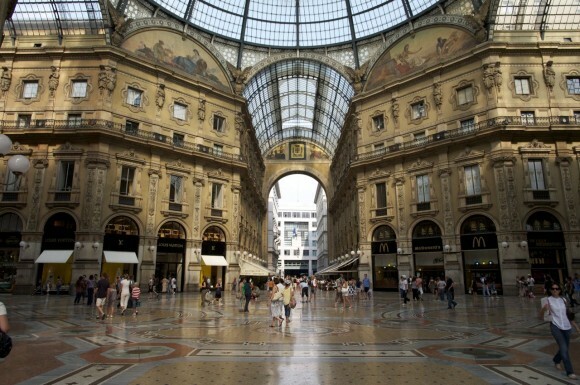 The shopping in Milan is incredible – every major designer has an incredible store. This city, more than any other I have been to, had the most selection of men’s shops. Of course we did a lot of just window shopping but also good “middle of the road” shopping with Zara, Sisley, Mango, Stefanel, etc. For lunch we ate at Obika located on the top floor of the La Rinascente Department store – it was really too hot for us to sit outside, but if you do, you are literally right next to the top of the Duomo. 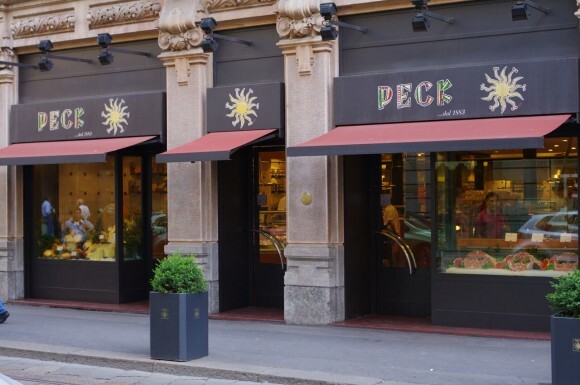 We fell in love with the original Obika on previous trips to Rome and were delighted to be able to eat there in Milan. It is a “mozzarella bar” with an array of choices of mozzarella to try as well as prosciutto. We had reserved tickets to the Last Supper – I was unable to reserve online so had called the phone number the day the tickets went on sale for our dates. I must say seeing the Last Supper was an incredible experience – very moving, and I thought in fairly good shape despite many of the comments I had read. They only allow 15 people go in at a time (thus your timed entrance) and you are only allowed to be in there for 15 minutes – but you must stay the entire 15 minutes – the sealed doors do not open up again until the full 15 minutes are up. After this we went to the Duomo to go inside – all I can say is, the beauty of the Duomo is all about the exterior! For dinner tonight we tried to go to Da Maruzella which is rated #1 on Trip Advisor and supposed to have fabulous pizza. Unfortunately, when we got there, it was closed that night. 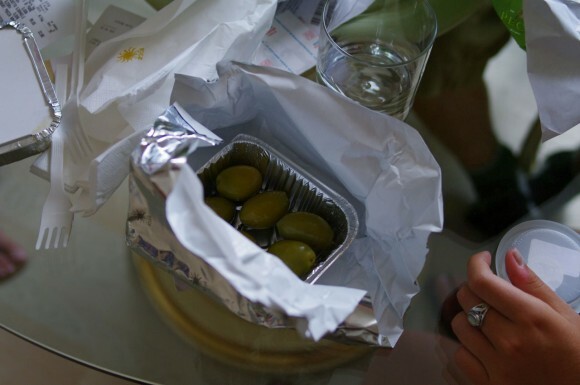 We quickly went to plan B and decided on Piccolo Cucina (Viale Piave, 17) which was recommended by a fodorite and on my list – plus it was not too far from where we were. We arrived at Da Maruzella early because there is often a line, when we arrived here the restaurant was not opening for another hour. However, the proprietor was extremely nice, made a reservation for us 15 minutes before they usually opened. We walked down to the corner bar and rested before our dinner. Here, we had one of our favorite dinners of the trip. This is a tiny little restaurant, I think a total of eight to ten tables. We were a bit unsure of what to order as everything had a lot of details, so we went with the chef’s recommendations and everything was fabulous. I wish I could remember what we had, but unfortunately I did not write anything down. I just remember that the food was particularly inventive, unique and delicious. Headed back to our hotel, and packed for our journey home the next day, which was uneventful! !